A Shifting Season in Israel: Pray for Ministry Center Relocation! We have just entered the month of Kislev … a month associated with the Tribe of Benjamin and a time to watch the nation of Israel. There is great unrest in that land and we must remain vigilant in praying over her boundaries. As Daniel and Amber share below, we have now outgrown our space at the Glory of Zion Ministry Center in Jerusalem. For several months they have been looking for a new location which would provide a larger meeting space as well as classrooms for the next generation. A great option has opened up in the center of Jerusalem, and they are presently in negotiations to secure this amazing property where local business owners would love to see this ministry established. We must continue to pray for favor so we are established in the land for the season ahead. Daniel also shares the amazing growth with the Children’s Ministry at the GZI Ministry Center. In Hebrew understanding, building is associated with adding sons and daughters. If we are going to minister to a new generation, we must invest in the space and staff that can train up tomorrow’s leaders in the way they should go. I am so grateful for how you are a part of this! If you would like to sow into this work in God’s First Nation, you can donate online, by calling our office at 1-888-965-1099 or 1-940-382-7231, or by postal mailing your gift to Glory of Zion, PO Box 1601, Denton TX 76202 and designating your gift for Israel. As the nations align themselves in this season we are watching in awe as His Face is becoming brighter in this Land and to this People. Alignment and positioning are essential in this new season. Over the past several months we have been prayerfully looking at different properties in search of a place to move the ministry center. Having outgrown our current location, we have been looking for a new place that would facilitate growth and fulfill everything we see the Father doing with Glory of Zion Jerusalem. Currently, we are in negotiations for a property in the city center of Jerusalem. Please pray for His favor, wisdom, and perfect placement for this ministry in His Land. Please join us also in interceding for the finances and provision that will be necessary to complete this move. Adding Sons and Daughters! The Children’s Ministry! We are also beginning a children’s ministry that will draw children of all ages into their identity and will produce life in the power of The Holy Spirit. Last month our youth ministry went to a new level with weekly meetings involving worship, teaching and times of coming together around the table for fellowship. The Father has been faithful in sending us the best leadership we could have asked for, and we are thankful for those who are stepping into this call. We marvel at how fast God is moving in all of these areas, and how His faithfulness is being made manifest in our young people. We will also need continual prayer for our youth ministries to be marked by His presence and leadership. Pray for wisdom, strength, and grace over all of the leadership at Glory of Zion Jerusalem. At GZI Israel we believe children have great significance in God’s plan and in His Word. Yeshua (Jesus) took the children in His arms and blessed them. We can follow His example by showing a child that he or she has value in our eyes and in the eyes of Abba Father. Our desire is to encourage, inspire and affirm our children as they grow in relationship with our awesome Messiah Yeshua, listen to His voice and develop in their giftings in the power of Holy Spirit. With a team of experienced teachers and volunteer helpers, we will use music, the arts, technology and drama to accomplish our goal. 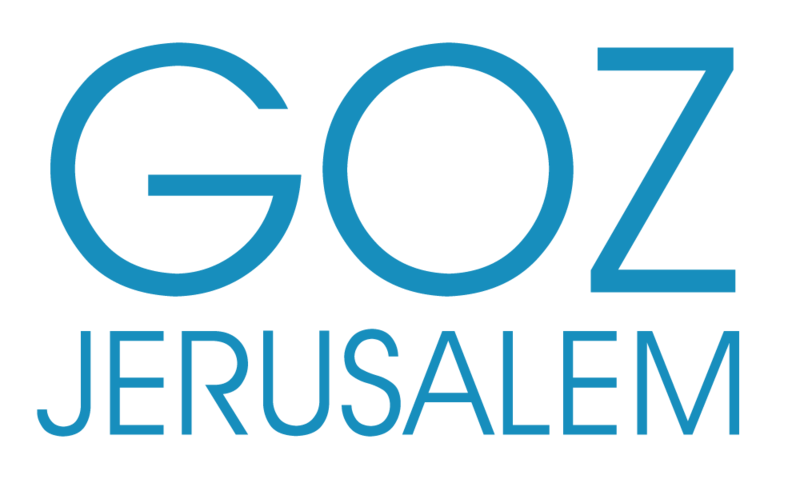 We consider it a privilege to demonstrate to the children at GZI the unconditional love of Yeshua and to help build a foundation of Faith in them that will last for a lifetime. One thing we have been hearing from the Lord is the word “restraint.” While there are different levels of what He is saying in this, we have experienced several events over the last two weeks that brought this word into clarity. First, there have been some situations where people in this community were suddenly attacked and we watched as restraint became the wisdom of the Father to avoid potentially devastating consequences. In each of these situations the person would have been in the right to do one thing but it would have resulted in the snare of the enemy. In each situation, restraint was the action that caused the person to escape the greater plan of the enemy. We are increasingly confident in, and in need of His mercy and leadership as we step into our part of building His house in Jerusalem. We are thankful for the army of prayer that keeps us and makes a way for His work here!